Emirates has started field-testing an innovative decision support technology that allows it to better manage operations, safety and environmental performance in the face of extreme and disruptive winter weather. Working with Vaisala, a market leader in environmental and industrial measurement services based in Finland, Emirates has rolled out testing of the CheckTime decision system for winter weather at Copenhagen and Chicago. CheckTime uses real-time measurements of a number of factors such as temperature, wind and precipitation type from precision weather sensors to accurately estimate the impact of prevailing weather conditions on de- and anti-icing fluids on the aircraft and then communicates the results to pilots via the ACARS system on the aircraft. CheckTime replaces a procedure where pilots manually use a combination of holdover timetables, information charts and observation of weather conditions to estimate the amount of de- and anti-icing fluids required and the time beyond which it would no longer be desirable for the aircraft to depart under existing weather conditions. 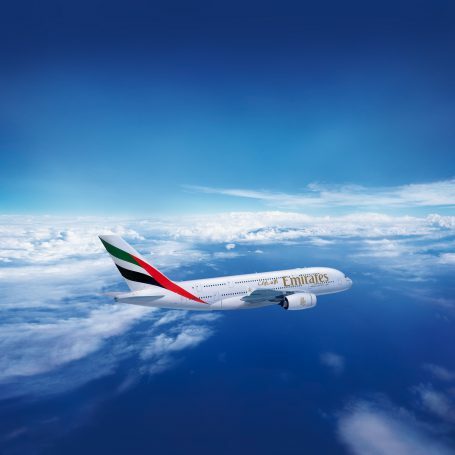 By using a precise automated decision support technology rather than a cumbersome manual procedure to estimate exact requirements of de- and anti-icing fluids, Emirates’ pilots will be able to better focus on other crucial aspects of safety and flight operations when preparing for the flight in extreme winter weather. Copenhagen and Chicago were selected as testing stations for CheckTime as both destinations experience adverse winter conditions. In addition, Copenhagen and Chicago are serviced by the Airbus A380 and the Boeing 777 aircraft respectively allowing Emirates to gain fleet wide experience for the performance of the CheckTime decision support system in winter weather. During the initial tests, Emirates has been using the CheckTime system in parallel with existing manual cold weather operating procedures to examine and validate results. Emirates operates one of the youngest and modern fleets in the industry with modern, wide-bodied and fuel efficient aircraft. The airline works with its partners and invests in technologies that allow it to deliver a superior passenger experience without compromising on safety and with the minimum environmental impact. In addition to helping pilots make better decisions during winter weather conditions the CheckTime decision support system also has the potential to deliver additional environmental benefits. A more accurate estimation of the quantity and concentration of de- and anti-icing fluids required prior to flight departure will prevent excess use of such fluids. Other associated environmental benefits will include lower emissions from reduced ground vehicle activity and lower emissions from aircraft engines as the likelihood of the aircraft having to be retreated with de- and anti-icing fluids will be smaller. Emirates will continue testing the CheckTime decision support system at Copenhagen and Chicago until the end of the current winter season. A decision to expand CheckTime to other Emirates’ stations having cold weather operations will be made following a thorough and complete analysis of test results.